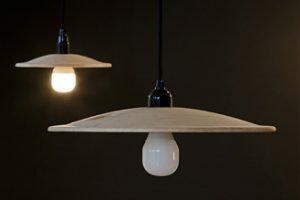 For the Neu/Vertraut project, Happen mediated a collaboration between Loris&Livia and the local carpenter Beat Fried who produced a first series of Barnlights in Arven wood (Swiss stone pine), a wood that is inherent to the Engadin culture. 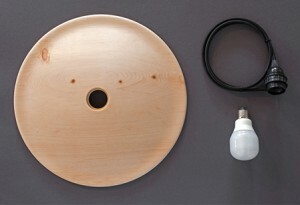 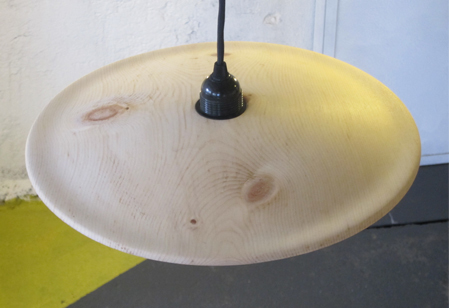 Loris&Livia’s lamp is inspired by the traditional barn lights. 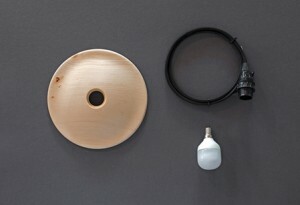 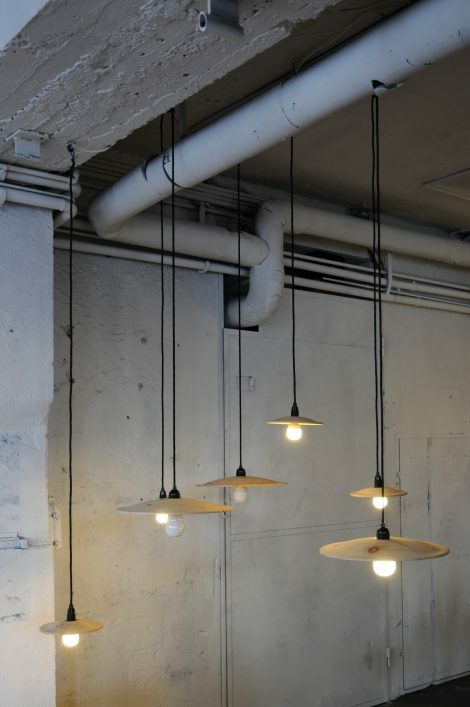 The light consists of a bulb stuck to a dish – unpretentious and with an almost naive presence.